Welcome to laptop-battery.com.sg. High quality Laptop Batteries, Notebook Batteries are 30 Days Money Back, 1 Year Warranty! Shipping Worldwide! 1. I didn't get the tracking number or order status emails? Don't worry, just use follow tools:, https://www.laptop-battery.com.sg/track-order.html, you can get it by yourself. 2. I use your tracking tools, but still can't get the tracking information in my email box? That may be your email system refuse or block all emails from us. You need contact us with another email address. (gmail, yahoo mail will be better). 3. I have send you many emails, but i didn't get any reply? Our service working hard all the time, every email will get reply in our site. If you didn't get any reply, that may be our reply emails were refused or blocked, please try contact us with another email address. 4. When i can receive my items? 5. Can i Know the Tracking url? Other country, the tracking url will be sent to your email address. 6.Can i wholesale laptop battery from you? 7.I can't find a replacement laptop battery for my laptop, what can i do? Just email to for help, tell us your original laptop battery number and your laptop model (OR show us some images), we can help you find any replacement / Genuine laptop battery in our wearhouse or the market. 8.The battery i received didn't fit my laptop? Please check your order email, to see whether it is the right one you ordered! If you find it is the wrong one you received, or you have ordered a wrong battery, just contact our service for a return number. Just a few simple steps that you can get a new battery soon. 9.The battery i received can't work ? Please don't worry, just make sure it is connect correctly, and chargering it for 4 hours or more longger time first. If you find it is stilled can't work at last, please take some picture or screenshots as proof. Contact our service, you will be given a return number and a resend order id. New battery will be sent to you. 10. Do you have a phone number? When i can heve a live chat with service? Sorry, phone number will not offer on site, as we found 99.99% question is about the order status. In fact, customer can get its staus by one click on our tracking page. We strongly suggest you contact us by email that our service can know detail you need. 1. How to get a VIP ID? If you need wholesale many ac adapters or batteries or other accessories every month, you can ask VIP service on our site. 2. Why i should beacome a VIP Customer of my-adaptor.com? Fast Deal with Refund, Shipping and More. Fast help find more prodcuts ( all laptop or electronic accessories) in our wearhouse or in the market. 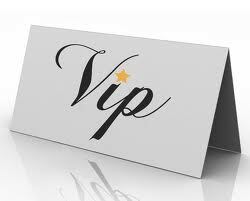 Vip customer will have or Phone ...online support . Trademarks mentioned in this web site & Logos displayed are the property of their respective owners. Any reference to products or trademarks of such companies is purely for the purpose of identifying the product's number or the machine model which our products could replacement for [ or compatible for]. If you have any other question from our website, please do not hesitate to contact us, we will reply you in 24 hours. Welcome use our Live Chat Service. Welcome choose high quality batteries and ac adapters on our site, we add new items every week. 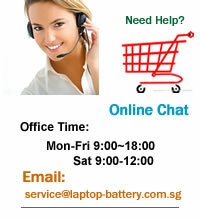 If you can't find correct item, please contact service@laptop-battery.com.sg. Our market team will help you get it from the factory or other supplier. Copyright © 2010-2019 www.laptop-battery.com.sg All Rights Reserved. Replacement Laptop Batteries for Acer, Apple, Asus, Dell, HP, IBM, Compaq, Samsung, Sony, Toshiba and so on with warrantable high quality.